In the following weeks I will be posting an online journal on the Tarot, as part of a course I am taking. As with all my posts, my intention is to share with you my journey and learning process. This is the first post of the online journal on the Tarot. 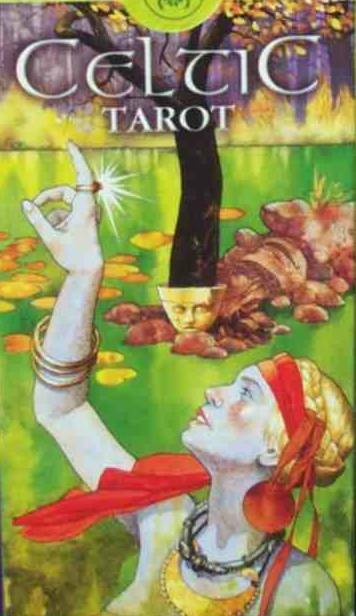 I bought my Tarot deck in South Africa, while I was still in my teens. Around that period I had also finished a gigantic book on Celtic mythology. Therefore, already being very interested and drawn by its culture, I chose a Celtic deck by Giacinto Gaudenzi and Saverio Tenuta. Being a creative person and incredibly appreciative of beauty, it were especially the images and the colours which spoke to me and I suppose I recognized the stories I’d read and liked how they were conveyed in the cards. At that time I had only just discovered paganism and so I never cleansed and consecrated my deck. 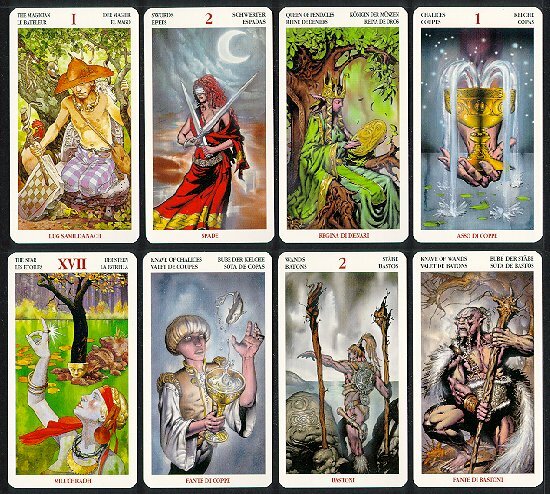 I tried to work with the Tarot then, but I felt like I couldn’t get the hang of it and consequently gave up for a few years until I re-discovered them and found that I could work with them. My general rule of thumb when I am not well-acquainted with another deck, or when others want to use mine, is passing each card through your hands and studying the images. It is my way of pouring my energy into them: admiring their beauty and trying to understand them. Another way is simply by holding them and shuffling them. I use my cards on a daily basis and I’ve caught myself shuffling them and doing a reading without actually seeing which cards I’ve drawn. It’s become a habit to do readings, several ones, sometimes even without looking at the cards. When I am intent on doing a reading about a situation, I will let the cards speak through me by doing several readings. I pay special attention to cards that I keep drawing (even when I’ve shuffled a dozen times), usually even in the same position. I also pay attention from cards that stick out of my deck or fall out when I shuffle or simply hold them. In short, I find it very important to listen, to let the cards speak to me. I feel that they often, but not always, respond to my mood (and this does not necessarily mean that they don’t convey the truth when for instance I am in a frenzy and still do a reading). The energy that emanates from my being directly influences them and that becomes clear when I do readings in all kinds of moods. E.g about the same situation when I’m angry and when I’ve cooled down. Another very important impression is that the longer I work with them, the more I learn and the more I understand them. The cards do not lie. There is a great difference between inaccuracy and lies. Often I feel that people misunderstand the cards because they don’t always portray the general situation or give a definite answer. More often than not, they show you an aspect of the situation which may be vital but which you were not aware of. My hope and aim is to learn more about the cards, each and every one of them, and to stop neglecting those whose meaning is not as obvious as others’. I know I tend to do that, especially with the court cards. Therefore, I should learn to understand what every card is trying to show me instead of only paying attention to those that stand out in a reading. In the beginning, I just kept my cards in their original box. After some years I started noticing that the box was beginning to show signs of having been used too much: curling corners, fading colours, loss of strength. The box was beginning to ‘age’. What struck me is that the cards did not. At first I worried that this would affect them, but the cards remained as if they were new. The only change I’ve noted in a decade is the slight colouring of the edges (and I really just am referring to the width which isn’t even a millimetre). In the last few years I’ve stopped using the box and just lay down my cards wherever without even covering them. Apart from the occasional mistake of doing a reading on a sticky surface, nothing has affected them.